One man did the unthinkable and his crime of passion leaves us baffled, sickened, and amazed. 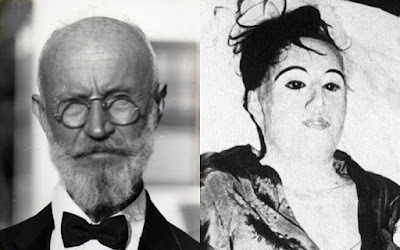 Carl Tanzler claimed to carry in his mind the image of his one true love he was destined to be with. When he worked in a hospital and met a patient who looked just like his dream woman, he tried to save her, but could not. He went so far as to pay for her funeral and her mausoleum. So one night in 1933 he sneaked in and stole her body. He used wire hangers to link her skeleton together. He stuffed her body with rags. He replaced her eyes with glass. He put her in his bed and proceeded to sleep beside her for seven years until he was caught. He eventually made a death mask and a dummy he slept beside until 1952 when he passed away. And this true story makes horror movies seem easily feasible.